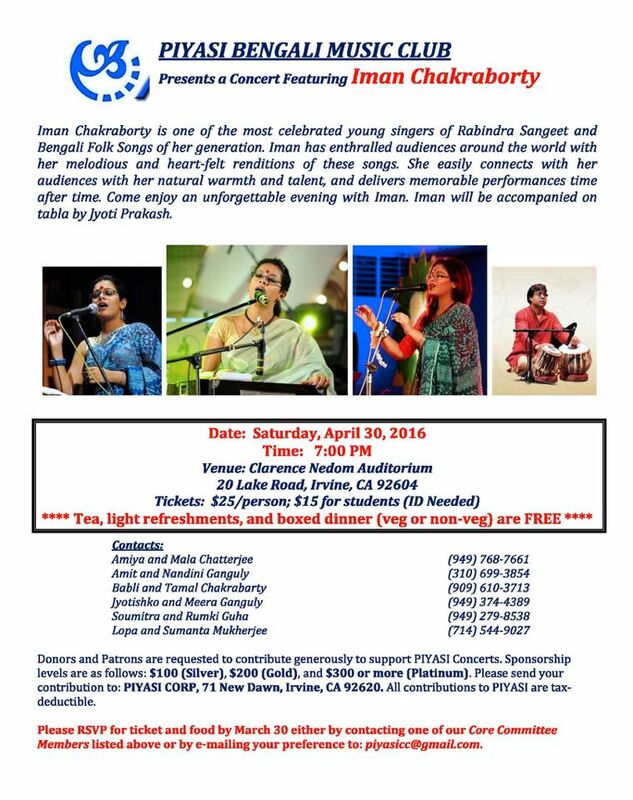 We are proud to forward you an invitation to our friends at Piyasi Bengali Music Club's event featuring Iman Chakraborty and Jyoti Prakash! You may remember Iman from our 2014 Laxmi Puja! She was amazing and we are anticipating another amazing show. See the flyer below. P.S. Our Basanta Utsab (Dol) with BASC will take place on March 26th @ BSS. Please stayed tuned for details!